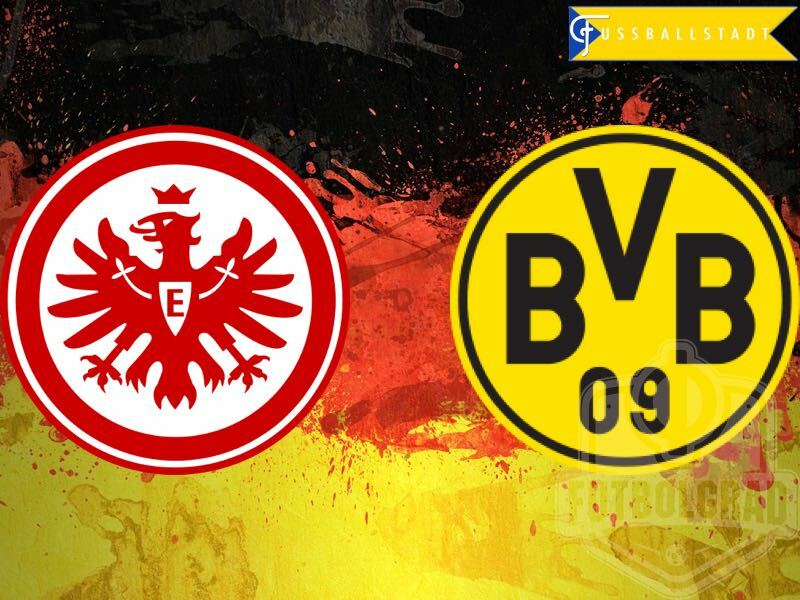 Eintracht Frankfurt vs Borussia Dortmund – Saturday 19:00BST/20:00CEST – Olympiastadion, Berlin. 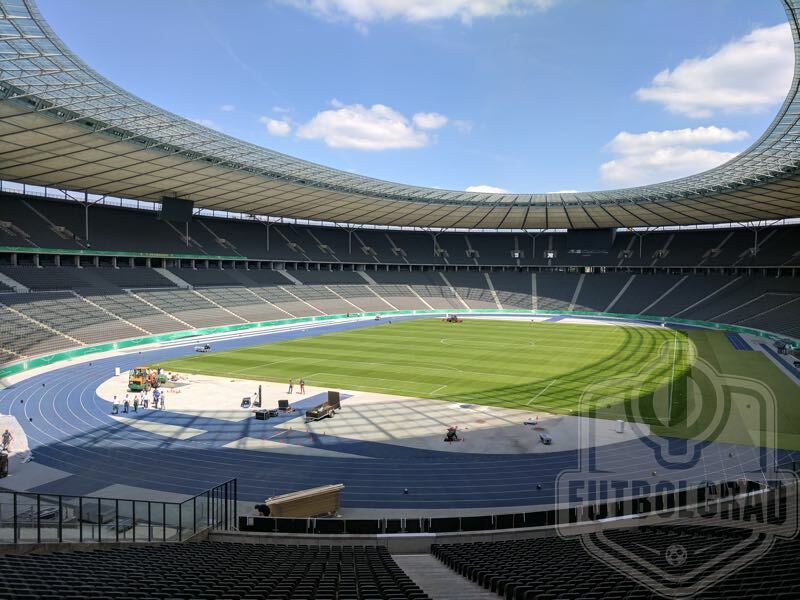 The DFB Pokal Final Eintracht Frankfurt vs Borussia Dortmund will take place at the Olympiastadion in Berlin. Image by Chris Williams. It’s the game that clears the streets of Germany: the DFB Pokal Finale. This year’s final sees Eintracht Frankfurt, wobbly over their league campaign, take on Borussia Dortmund. With the Champions League group stage already secure, Die Schwarzgelben can play with the shackles of European worry off. Finalists for the fourth-year running will they be able to capture their first Pokal trophy since 2012, or will their run of bad luck in the final continue? Frankfurt are in their first Pokal Finale since 2006—eventually losing that day to Bayern Munich—but you have to go all the way back to May 1988 to find the last time they held the trophy aloft. The Eagles will be hoping that their Bundesliga form has been shelved for this all important cup final. Die Adler have only won one game in their last 15, a run of form which saw them fall from third place to their final resting point of 11th. An extremely disappointing 2017 could be salvaged with a victory in Berlin, but The Eagles will start as underdogs – The recent fixture against Dortmund, at Signal Iduna Park, in April, saw them lose 3:1. In truth it should have been a lot more, their hosts guilty of missing substantial opportunities which would have condemned Frankfurt to a higher drubbing. In their five-match run to reach this year’s Pokal Finale, they have required a penalty shootout in three of those occasions. Scraping past Magdeburg, Ingolstadt, Hannover and Arminia Bielefeld before a thrilling semi-final fixture against Borussia Mönchengladbach saw them eventually come out on top, winning 7:8 after penalties. They will have to be at their very best against Dortmund if they are to lift the trophy Saturday night. Borussia Dortmund have reached a record fourth final in a row, but on the last three occasions they have found themselves with only silver medals come full time. With rumour surrounding the future of both Thomas Tuchel and red hot striker Pierre-Emerick Aubameyang, can any potential goodbyes be capped with their first Pokal trophy since 2012? Having secured third place last weekend in the Bundesliga with a thrilling 4:3 win over Werder Bremen, Die Schwarzgelben now look to add the Pokal trophy as the cheery on their season cake. Faltering slightly in the league they would have preferred a higher finish or possible title challenge, but with such a young embryonic squad Tuchel has once again shown he can take Dortmund to the final stages of the competition—can his young guns capture that elusive trophy though, remains to be seen on Saturday evening. Like their opponents, Frankfurt, the Yellow and Blacks have required penalty shootouts en route to this season’s final—albeit only on two occasions. Tricky fixtures at home against Union and Hertha Berlin went the full distance but were sandwiched between two sound performances against lower league opposition. However, it was their electrifying semi-final fixture against Bayern Munich, at the Allianz Arena, that remains the standout fixture in their run to Berlin. Taking the lead early on, then falling behind, Dortmund staged a remarkable comeback, eventually dumping Bayern out of the Pokal in their own backyard 3:2, setting up another appearance in Germany’s capital. 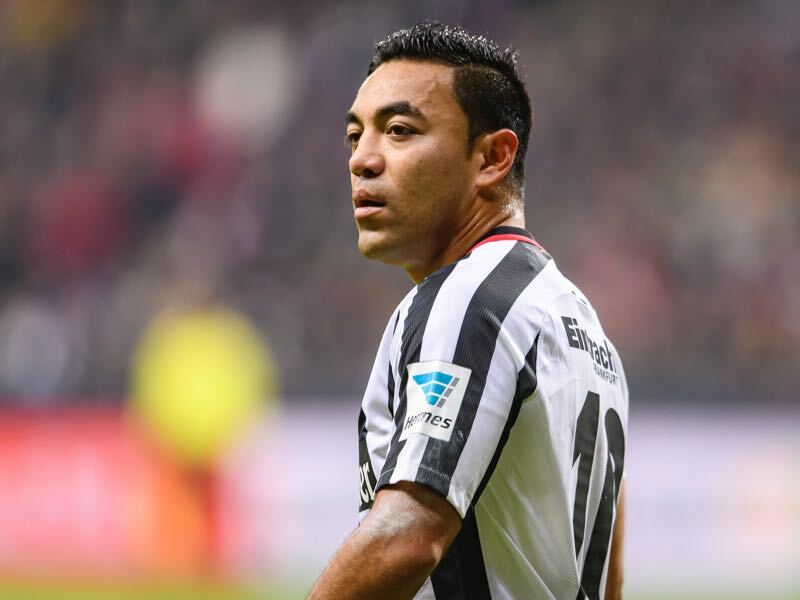 Hard working, yet full of flair, Marco Fabian fully deserves the tag of the one to watch for Eintracht. With many Mexican’s already encountered in Berlin this week, making their way to the capital for this particular fixture, the 27-year-old from Guadalajara will not be short of fans in the Olympiastadion. Scoring seven goals in 26 games this season, and assisting further four times, Frankfurt’s attacking midfielder will bring a dangerous element to Dortmund’s defence on Saturday. When deployed as the centrally, behind the front two, his hold up play allows the front pairing to stretch defences, and opposition players are drawn in enabling Fabian to win vital free kicks just outside the box. 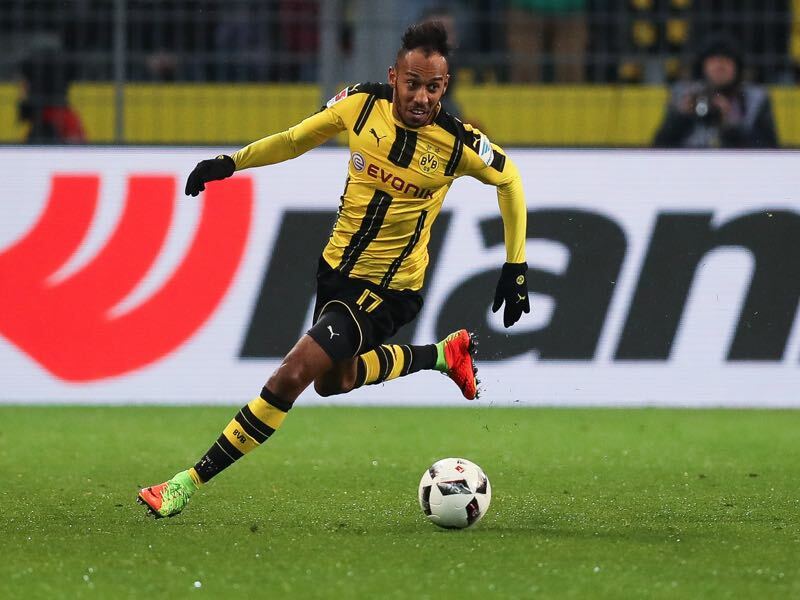 Is this the final time we see the talented Aubameyang in the famous Yellow and Black? With rumour and conjecture surrounding his future, this may be the perfect platform for the Gabonese striker to go out on a high. The 2016/17 Torjägerkanone winner has amassed an incredible 31 goals, and two assists, in 32 Bundesliga games this season—Aubameyang is involved in a goal for Dortmund every 90 minutes. With two assists and one goal in his three Pokal games, he transfers his league ability into cup competitions. Linking well with either side of the Dortmund front three his finishing ability has been proven to be one of the best in Europe on a consistent basis this year. Left foot, right foot or with his head, Aubameyang can find the net with any surface.